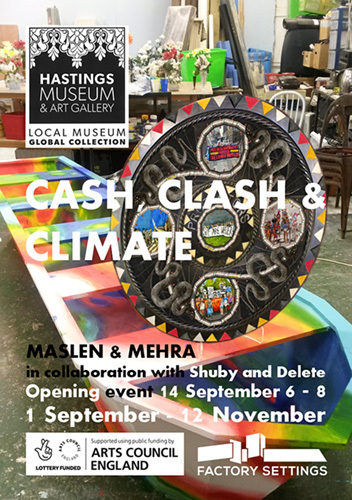 Maslen & Mehra in collaboration with local street artists Shuby and Delete. This exhibition brings together an extensive body of work for the first time. 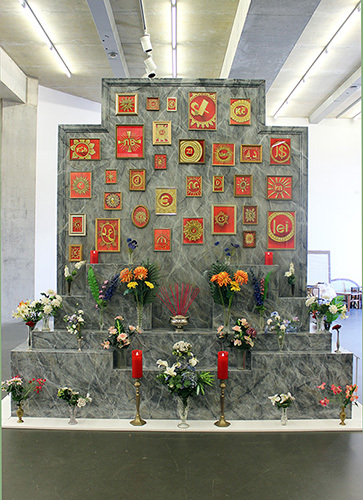 Maslen & Mehra have created the framework Cash, Clash and Climate in order to ponder questions about the complexities of living today and they invite viewers to follow their train of thought. 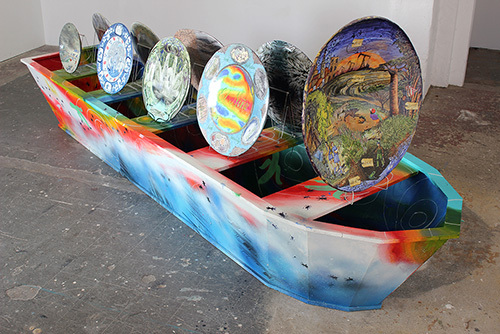 These collections of sculptures individually pose questions about political, social and economic structures but together they ask how they, in turn, relate to social unrest and environmental issues. 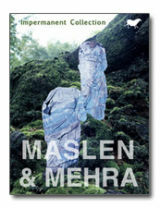 This multi-touch eBook created in iBooks Author offers an amazing range of interactive features enabling you to "experience" MASLEN and MEHRA's Impermanent Collection as if being given a private tour by the artists themselves. It includes Images of MASLEN & MEHRA’s series Impermanent Collection, installation views of select pieces from this series in a recent London exhibition, text by renowned Art Historian, Edward Lucie-Smith, audio comments regarding the work by the artists and a film regarding Impermanent Collection/ Maslen & Mehra presented by Edward Lucie-Smith and produced by Tristan Vince.